Desiderio (Dez) Lopez ’18 is a marketing and public relations double major from Goshen, Indiana. 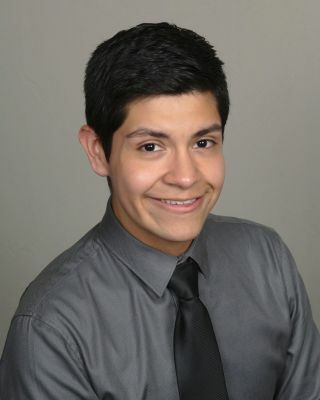 He is part of Enactus, Latino Student Union, Commuter Club, and works as an intern at the admissions office. The one thing I love most about GC is the small class sizes. They enable me to get to know everyone on a closer level and have also let me make new friends in all of my classes. Making powerful connections within all of my classes is something I don’t think I could have gotten at a larger university. Why did you choose Goshen? Location. One of they key deciding factors of my decision to commit to Goshen College was its location. I love the community within and outside of GC’s walls. During my visit of the campus I fell in love with every aspect of the college, and I liked that I could feel the closeness of everyone on the college’s campus when being greeted by strangers. Participating in mock interviews during Super Tuesday. This event opened my eyes to really know what employers are looking for when they interview prospective employees. During the event my resume was evaluated as well as how I presented myself. There was a follow up portion that pinpointed areas in which I could improve. Key advice for any prospective student is not to be afraid. Don’t be afraid to make mistakes, change majors, try new things and meet new people. I’ve come to learn that I am not the same person as I was when I first started at Goshen College. I was afraid to change, but today I realize that sometimes the most nerve-wracking things can make the biggest impacts. At this point in my life, I’m 21 and the world seems full of opportunities and self-discovery. I hope to obtain a job that enables me to work with advertising design, and hopefully go to grad school to obtain my MBA.